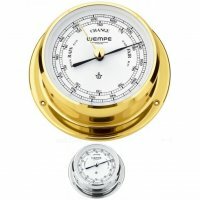 The modern WEMPE SKIFF barometer allow you to precisely measure the atmospheric pressure with easy. Therefore it is possible to forecast the weather of the next two days which makes barometers some of the most important marine instruments aboard a ship. 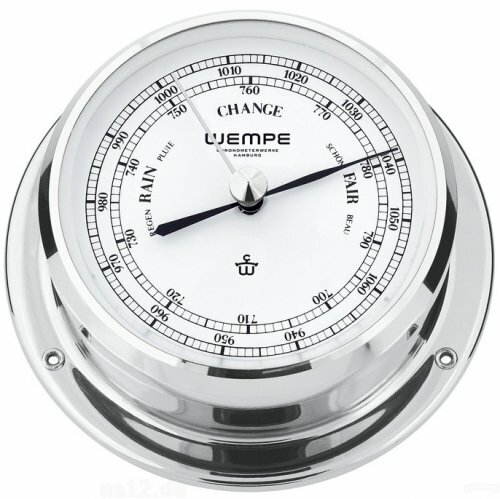 Barometers are not only used at sea, but also for private use on land, as a reliable weather forecast is always an advantage. 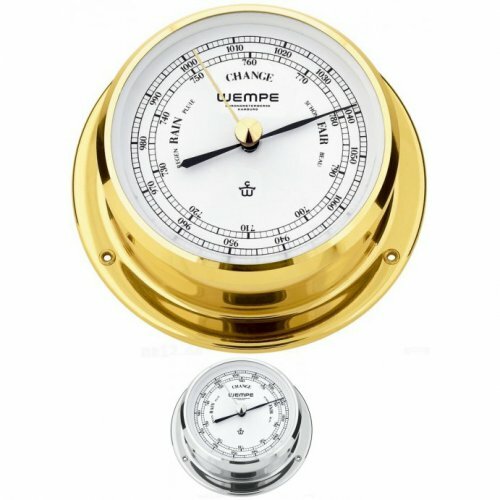 The WEMPE barometer of the SKIFF Series indicates the atmospheric pressure through black indexes on a white clock face of 80mm. The colourlessly lacquered or chrome plated brass housing is 110mm in diameter and 42mm in height.